Interactive Voice Response (IVR) technology systems automate the process of customer interaction by enabling customers to serve themselves.  Using a combination of touch tone and speech recognition and voice applications, today’s IVR systems can facilitate simple or very complex customer requests efficiently and cost-effectively, without ever requiring a live agent’s time. From checking account balances or requesting updates on the status of an order, the possibilities are virtually endless when it comes to service automation with an IVR.USAN call center IVR helps some of the largest companies in the world provide agentless, automated customer service that has improved service levels and operational efficiency. USAN call center software and customer engagement solutions in the cloud deliver the ultimate customer service experience. USAN provides communications, engagement and optimization solutions to help manage the customer experience with infinite flexibility across channels.